Enjoy versatility and style with the Tramontina Style Ceramica 01 Porcelain Enamel 11 in. 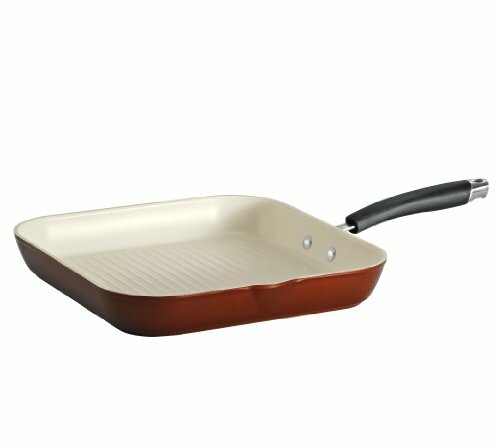 Square Grill Pan. 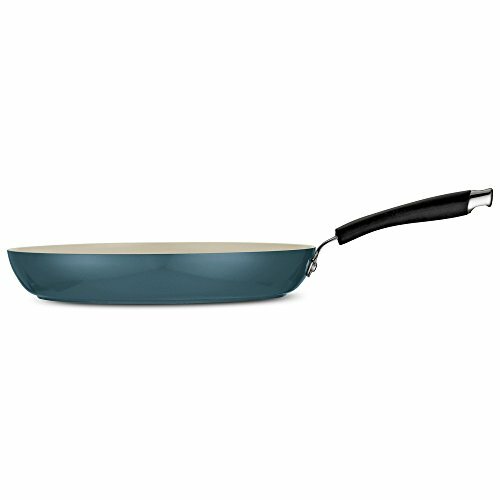 Made with an enameled aluminum cooking surface, this pan offers quick and even heating and lets your food glide right off. 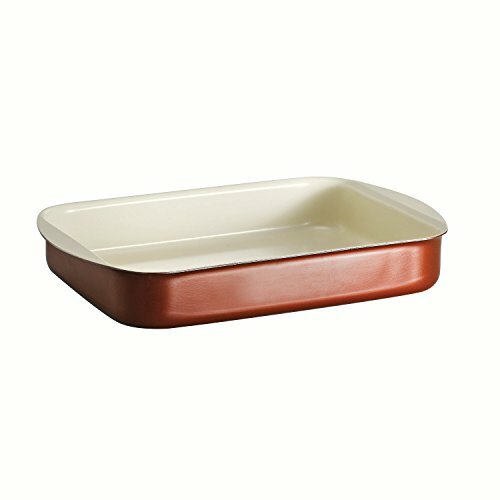 Its square shape is perfect for burgers, steak, fish, and other proteins. A riveted steel handle with soft, silicone coating stays cool and gives you a secure grip. Go from stovetop to oven, as it's safe up to 350 degrees F. The Tramontina group operates 11 modern factories and 12 distributing centers worldwide. A leading manufacturer of household goods, ranging from cutlery to flatware and kitchen utensils, the group effectively invests in product research, development, and innovation to provide superior products and unmatched customer service. 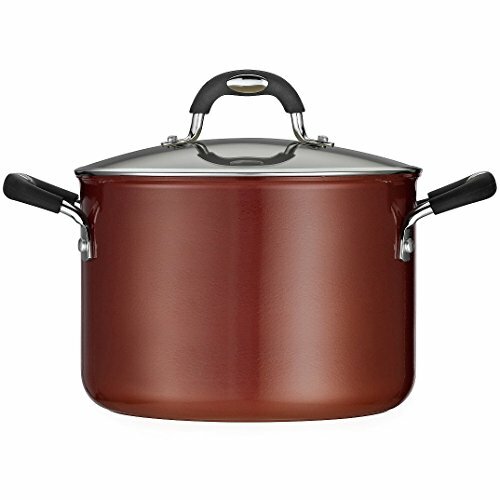 Heavy-gauge, porcelain enameled aluminum provides even heating. 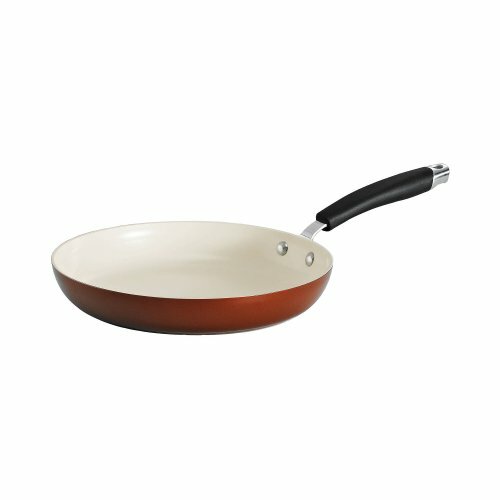 PFOA and lead-free ceramic non-stick interior. 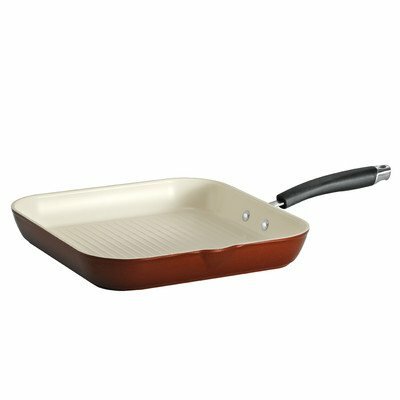 Square pan with stainless steel handle and silicone soft-grip. Oven-safe up to 350 degrees F; dishwasher-safe. Measures 11L x 11W in..
Heavy-gauge, porcelain enameled aluminum provides even heating PFOA and lead-free ceramic non-stick interior Square pan with stainless steel handle and silicone soft-grip Oven-safe up to 350 degrees F; dishwasher-safe Measures 11L x 11W in.